Routledge is pleased to offer ProZ.com members a 20% discount on Routledge books. We provide researchers, professionals, lecturers and students with books, Journals, eProducts, Resources and Information in Translation and Interpreting Studies. Visit our Routledge Translation Studies Portal for recent updates that include new Samples from a selection of key and recent titles including Lawrence Venuti’s Teaching Translation. This chapter explores why physical fitness is more important than we think, some surprising candidates for good interpreter food, how to start the process of good health for long-term results. 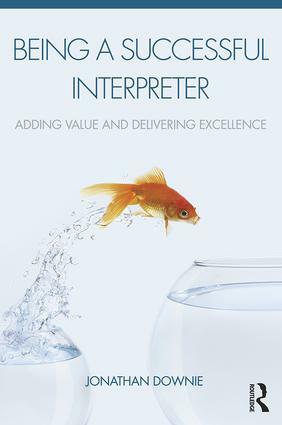 Successful interpreters want to keep getting better. There is no one better placed to give us the rundown on how to use our diet to improve our performance than Kamil Celoch. A conference interpreter in his own right, Kamil has dedicated his spare time to researching how to enhance our brain power using food and supplements. Stanley Colcombe and Arthur Kramer and a team led by Yu-Kai Change both set out to examine whether regular exercise routines could help people perform better at mental tasks. Neurotransmitter balance: high-protein diet to supply adequate amounts of amino acids; high intake of fruit and vegetables and micronutrients to support healthy enzymatic conversion. Hormones: find and correct any deficiencies; reduce overall stress levels. Routledge Language books are for professionals, lecturers, researchers and students. Our extensive portfolio enables us to offer the breadth and depth you require at any stage of your career. Click the link below to browse our range of products. * This discount does not apply to e-books, and cannot be combined with any other offers. Offer expires 31 December 2019.